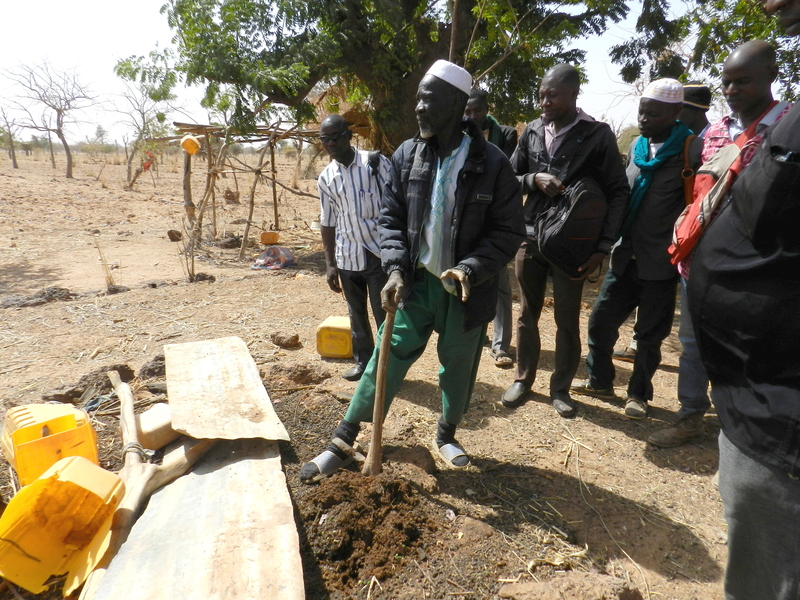 In the quest to improve the lives of farmers and improve agricultural productivity in rural Burkina Faso, meteorological data has been identified as one of the is key information needs for local farmers. 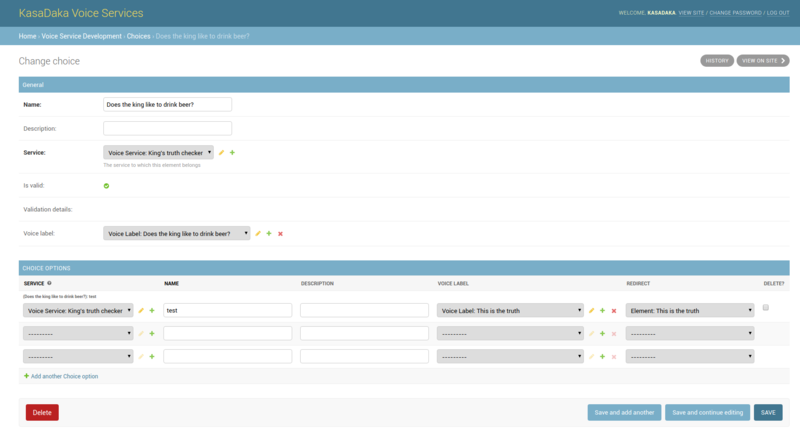 Various online weather information services are available, but many are not tailored specifically to tis target user group. 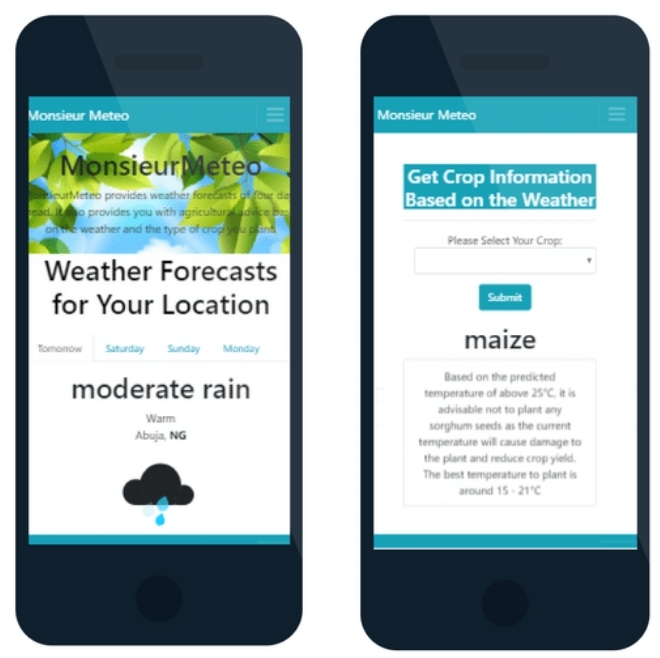 In a research case study, Hameedat Omoine designed a weather information system that collects not only weather but also related agricultural information and provides the farmers with this information to allow them to improve agricultural productivity and the livelihood of the people of rural Burkina Faso. 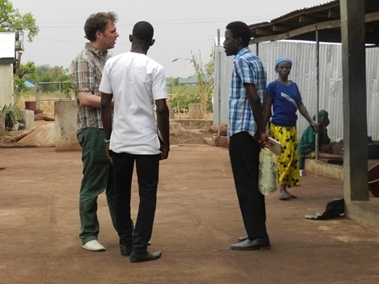 The research and design of the system was conducted at and in collaboration with 2CoolMonkeys, a Utrecht-based Open data and App-development company with expertise in ICT for Development (ICT4D). Hameedat developed multiple alternative models to investigate the sustainability of the application. For this she used the e3value approach and language. 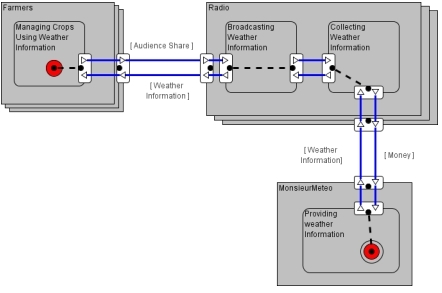 The image below shows a model for the case where a local radio station is involved. 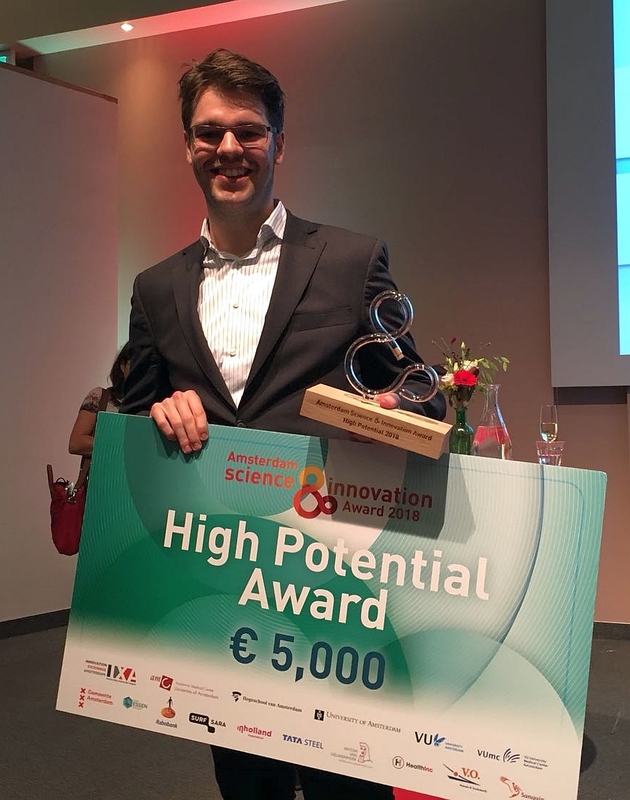 On 19 June, André Baart was awarded the High Potential Award at the Amsterdam Science & Innovation en Impact Awards for his and W4RA‘s work on the Kasadaka platform. 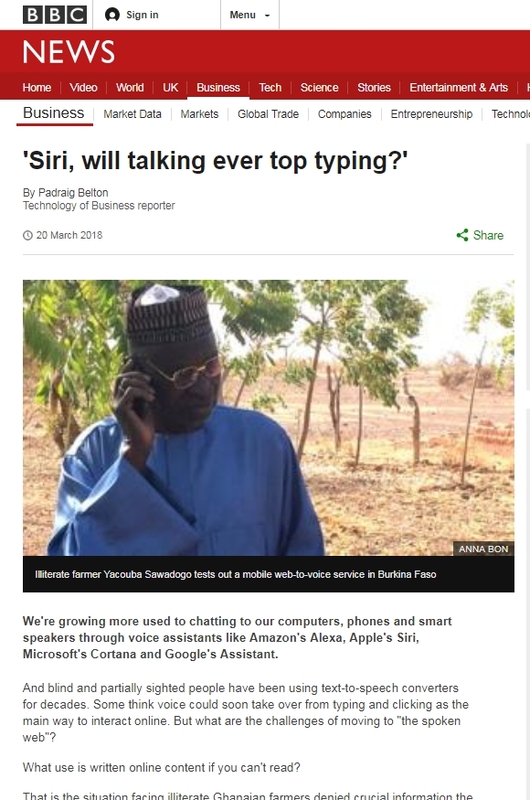 Kasadaka (“talking box”) is an ICT for Development (ICT4D) platform to develop voice-based technologies for those who are not connected to the Internet, cannot not read and write, and speak underresourced languages. 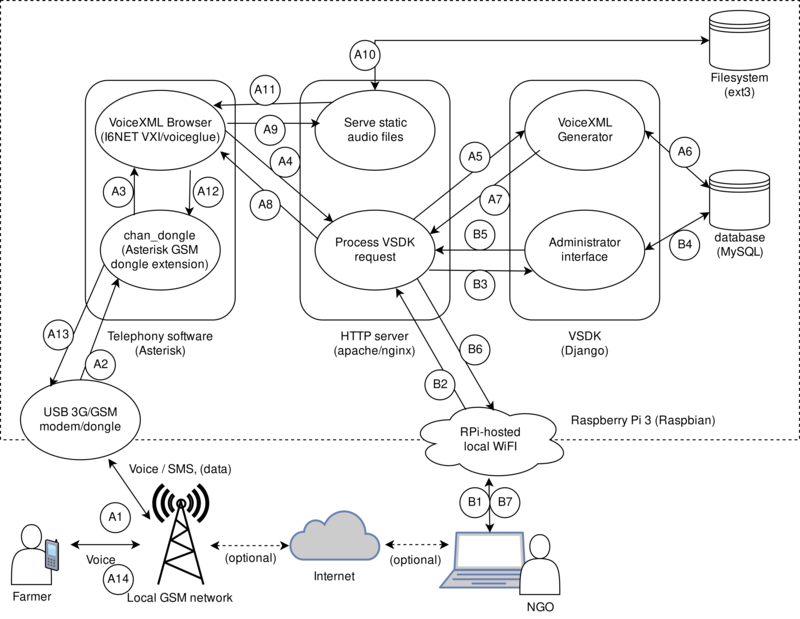 As part of a longer-term project, the Kasadaka Voice platform and software development kit (VSDK), has been developed by André Baart as part of his BSc and MSc research at VU. 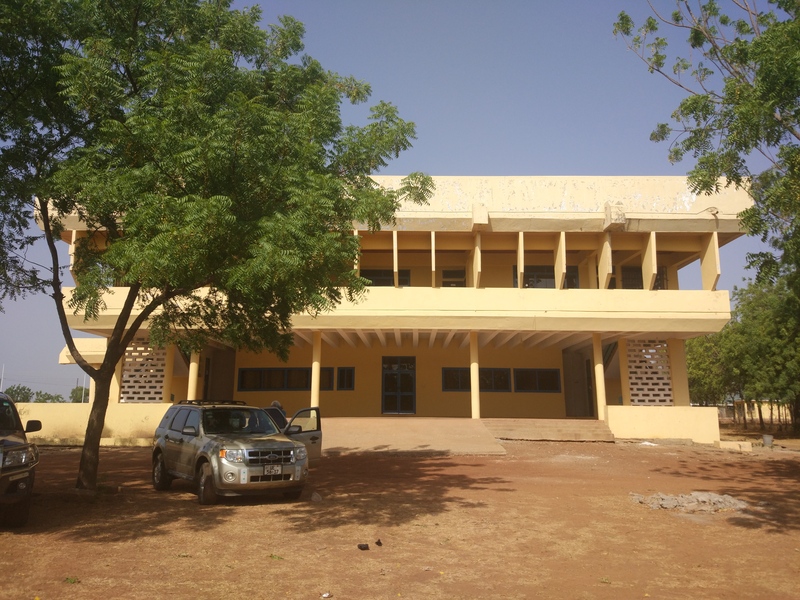 In that context it has been extensively tested in the field, for example by Adama Tessougué, journalist and founder of radio Sikidolo in Konobougou, a small village in rural Mali. 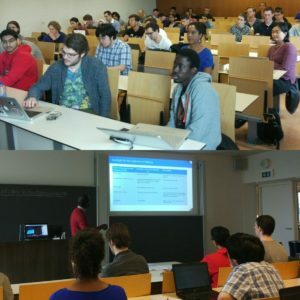 It was also evaluated in the context of the ICT4D course at VU, by 46 master students from Computer Science, Information Science and Artificial Intelligence. The Kasadaka is now in Sarawak Malaysia, where it will be soon deployed in a Kampong, by Dr. Cheah Waishiang, ICT4D researcher at the University of Malasia Sarawak (UNIMAS), and students from VU and UNIMAS. 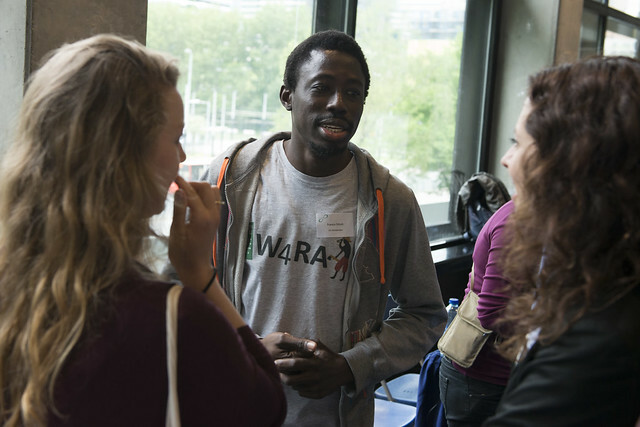 André is currently pursuing his PhD in ICT4D at Universiteit van Amsterdam and still member of the W4RA team. 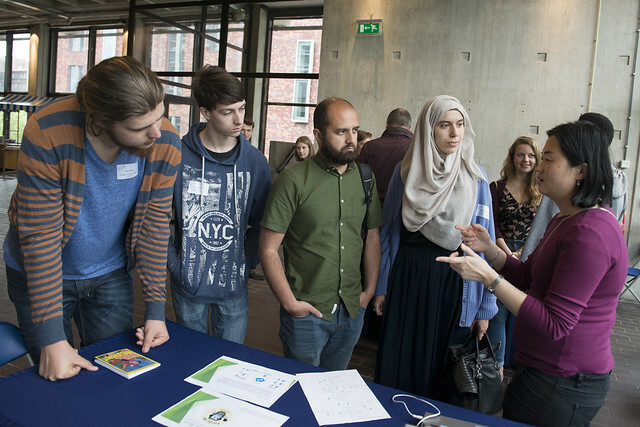 During the National Day for Sustainability (Nationale dag voor duurzaamheid in het hoger onderwijs 2017), the ICT4D team presented our current research and educational activities to the many participants of this event, hosted at VU. Anna Bon and myself presented our work on sustainable methodologies for ICT4D as well as current work on small and sustainable ICT platform (Kasadaka), see the slides below. After this, the participants got a chance to meet our students and their very nice projects up close in an interactive demonstration session. 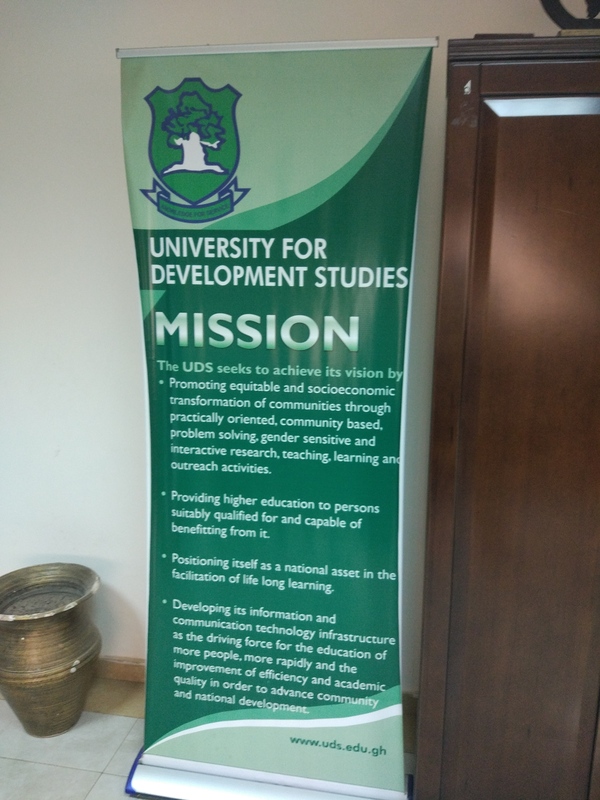 Selected ICT4D students presented the voice-accessible services. All photos by SURFSara, more pictures of the event can be found on Flickr. 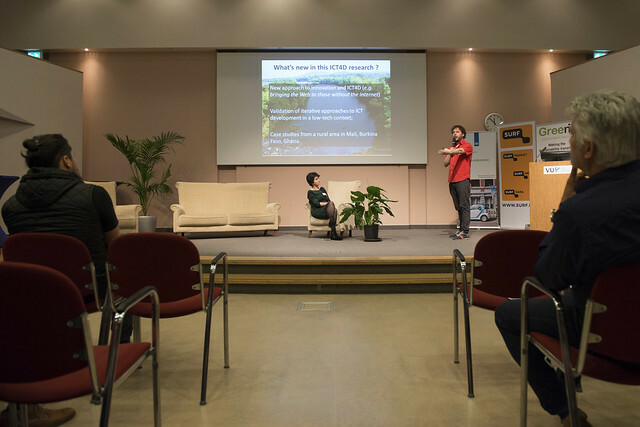 For its 10th anniversary, the Web Science Trust organized an event Webscience@10. For this event, a Webscience@10 TV channel was launched to showcase different research and education initatives around the world. On behalf of the VU Network Institute and W4RA, we submitted our Web of Voices video as well as a short introduction to the W4RA team.